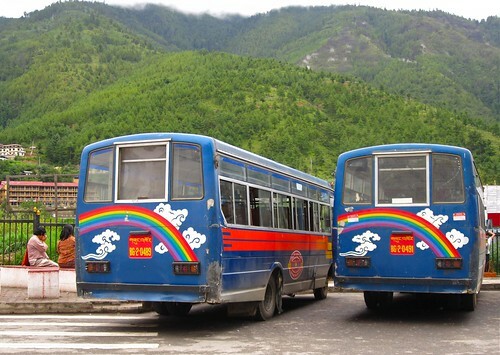 The public buses here are painted with a rainbow and swirly cloud motif. I find this to be adorable. I've got a really bad cough and fever so I haven't been doing anything interesting yet. There are hikes I want to do and places to see but until I'm not gasping for breath just sitting still, they will have to wait.